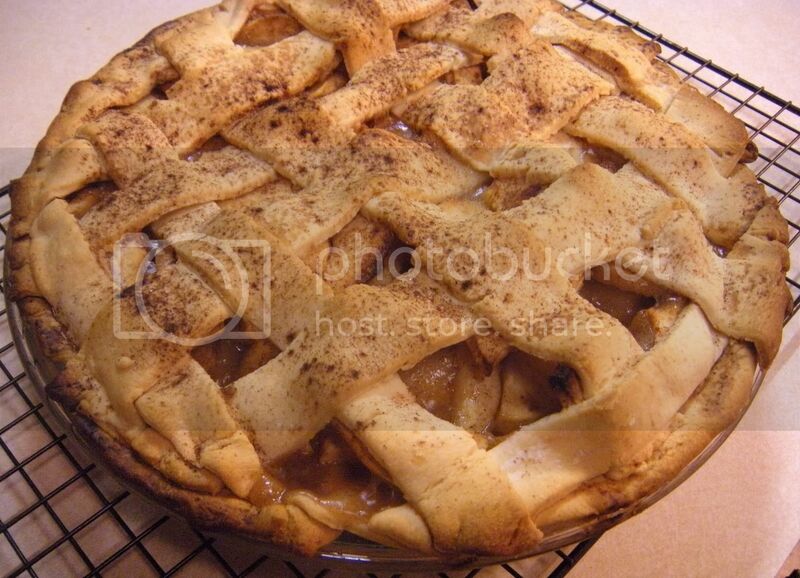 To try out this new sweetener, I decided to bake an apple pie. (We'd just bought 7 bushels of apples for canning, so I had some to spare!!) I think the pie turned out wonderfully! Here is my recipe that I used (adapted from The Joy of Cooking). Roll out two pie crusts, laying one in the bottom of a glass pie pan, and reserving one for the top. Refrigerate. Preheat the oven to 425F with a rack on the bottom setting. 2 1/2 pounds of apples (5-7 medium apples) that are peeled and sliced. 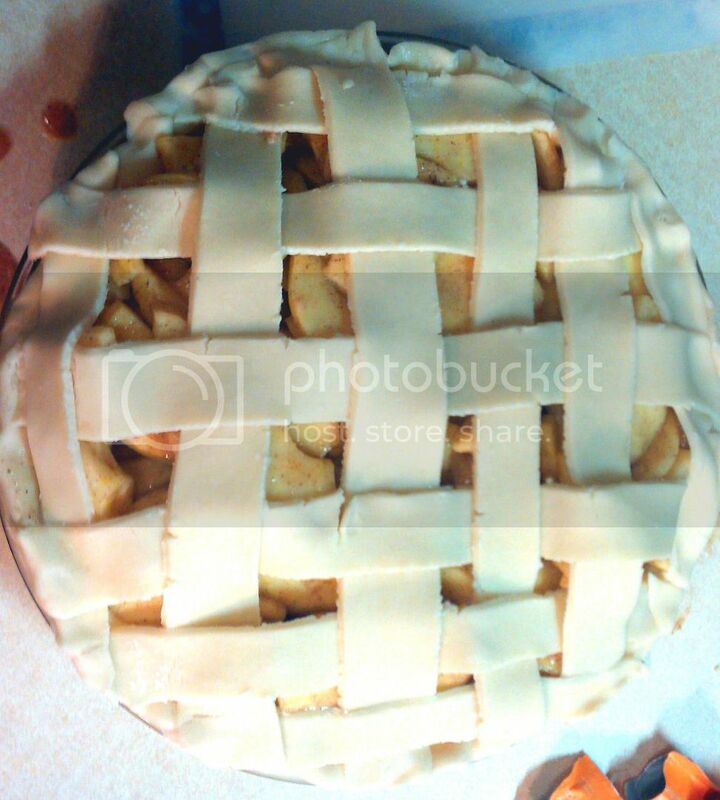 and cover with top pie crust, cutting slits or making a lattice top. Bake the pie for 30 minutes. Next, place pie on a baking sheet and bake for 30 additional minutes at 350F, or until apples feel just tender and thick bubbling juices can be seen through the vents. Allow pie to cool 3-4 hours on a cooling rack before serving, so that the filling can gel and set properly. The pie turned out beautiful and I found that Nectresse baked exactly like sugar! I really appreciated that I was able to use less Nectresse than sugar--the recipe originally called for 3/4 C sugar, and I used 1/4 C Nectresse. Honestly, I probably could have used even less! The pie looked and smelled so great it was hard waiting the 4 hours to eat it! We all tried it and enjoyed the pie. 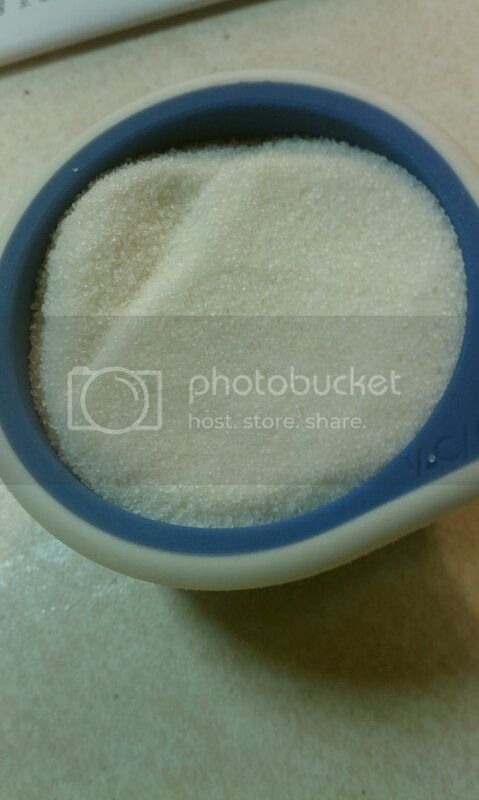 My mom even tried it--and she refuses to eat anything made with real sugar. It's a real testament that she was willing to eat Nectresse and she was happy to eat it because it is a sweetener made out of fruit! She said the pie was very sweet (understandable, as she never eats desserts of any kind) and that she would have to hold herself back from eating another piece! My husband ate his whole piece quickly and said that he could tell something was different, but that he couldn't put his finger on it. He said that he enjoyed it as well. 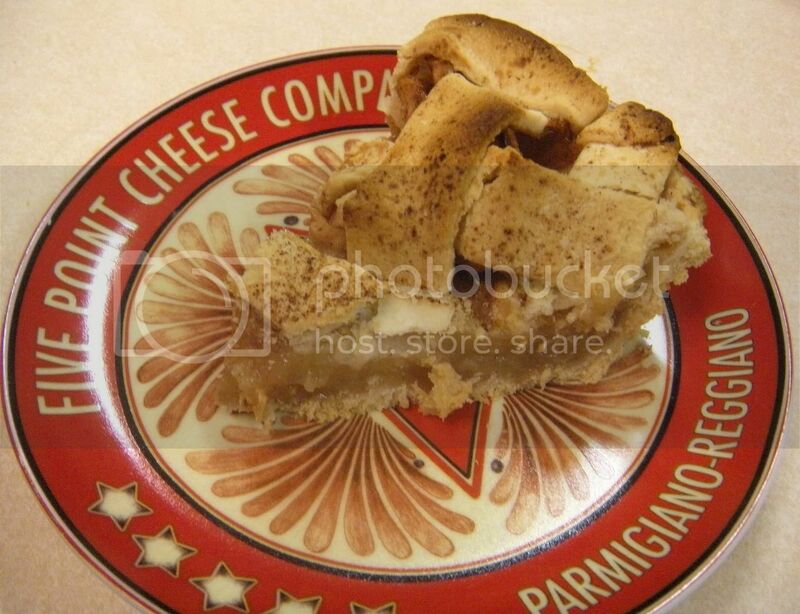 I really enjoyed the pie and thought that it was a delicious sugar-free apple pie! 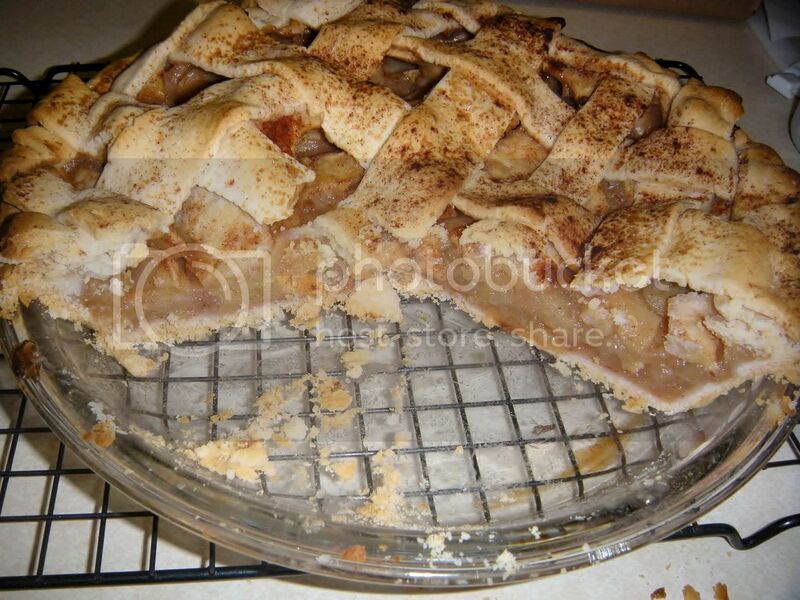 The flavor was good and you could taste the apples and the crust as the true flavors of the pie. Because my mom doesn't eat sugar, and hasn't for 23+ years or so, I have a lot of experience with artificial sweeteners and their flavors. I could taste the Nectresse in the pie at times, but it has a more natural fruity flavor to me than many other sweeteners that I have tried. I think that next time I make a pie with Nectresse, which is hopefully next week, I may use even less Nectresse in the pie filling. The fact is that Nectresse is so sweet, that a little goes a long way! Overall I'm very pleased with Nectresse and how my sugar-free apple pie turned out. It's amazing that I was able to cut out all of those sugar-calories from the dessert by using Nectresse, with zero calories! The fact that the Nectresse is all-natural, the Nectresse baked well, the pie was sweet, and had 580 calories less than the sugar-version of this pie, makes Nectresse a true winner! If you're looking for more testimonials about Nectresse, you can also check out this Lisa Lang video about her experience with Nectresse sweetener!